Last summer, I bought the KettlePizza based on a review by Kenji Lopez-Alt that I read on my favorite food blog, Serious Eats. 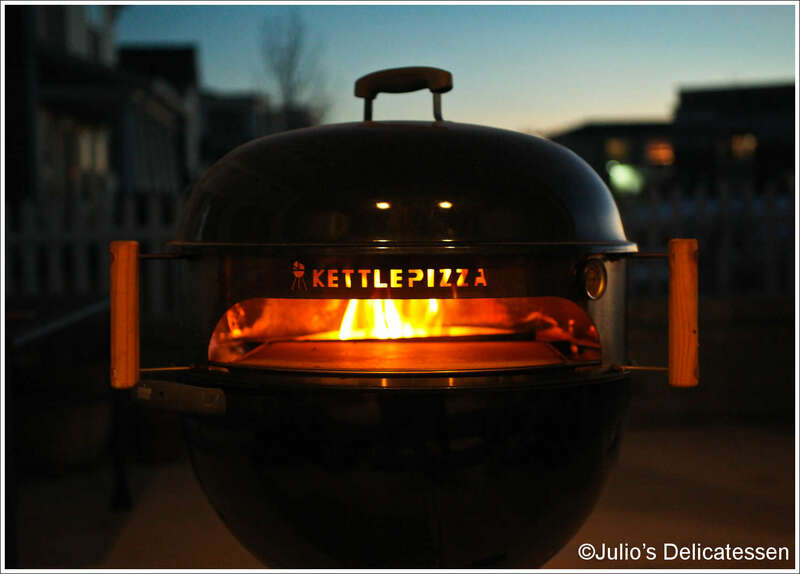 The KettlePizza is a kit that allows a kettle grill to be used as a wood burning pizza oven. 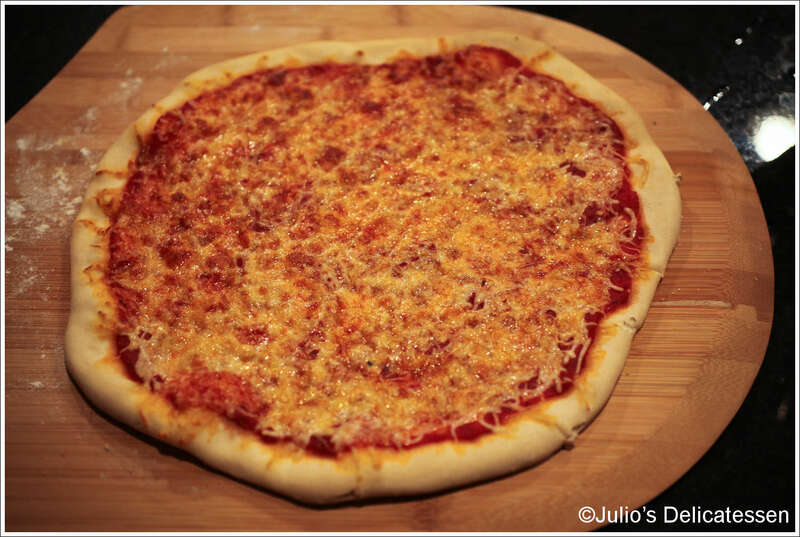 It’s a relatively inexpensive way (compared to actual wood-burning ovens which cost thousands of dollars) to produce high-quality thin crust pizzas at home. The key to making pizza is high heat and fast cooking times. Most home ovens have a maximu temperature of around 550 degrees (and drop quickly if you open the door to put food in or take it out). 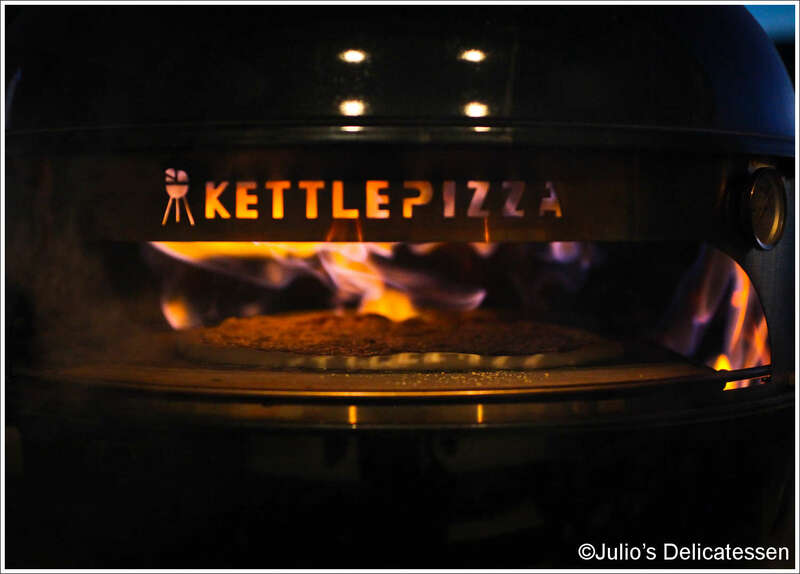 The KettlePizza enables you to keep the temperature of both the cooking surface and the air around it well over 800 degrees. This means a pizza takes only 2 or 3 minutes to cook. I use charcoal briquettes (as opposed to lump charcoal) because they burn slightly longer. When the coals are hot, I add some chunks of hardwood. This adds some extra heat as well as smoke . After letting the grill come up to temperature for a few minutes, it’s ready to go and will stay hot for at least 30 minutes which is plenty of time for me to cook pizzas for my family. 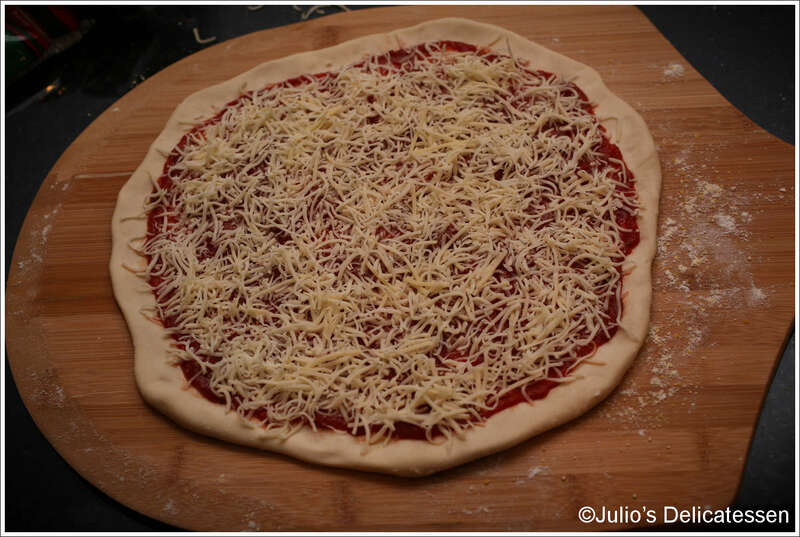 Having tried a number of other methods of making pizza at home, this is by far the most effective and most fun. If you have a kettle grill and even a slight interest in making pizza, I would strongly encourage you to check out this product. I know my readers would enjoy your work. If you are even remotely interested, feel free to send me an e mail.